What position suits Phil Jones best? Phil Jones has been somewhat of an enigma since his arrival in the of summer 2011. 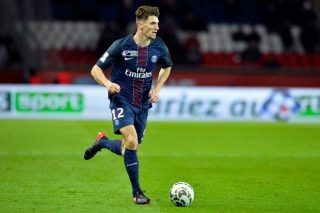 He has played in a multitude of positions such as right-back, centre-back and central midfield being his main area of operations. In my opinion, he isn’t fast enough to really make it as a right-back in the modern game but he can still ‘do a job’ there so-to-speak. The position where he was bought to play was centre-back, and he does present the capabilities of a centre-back nowadays. Jones has more pace than the average player in that position, and his reading of the game will improve as he matures, but one could argue that’s because he is likely to go off roaming, therefore may be a liability in that position. In his third position as a central midfielder he is robust, displays a great amount of energy and has a great engine so he can track down opposing players and if taught, he can be greatly utilised as a man marker in the big games. 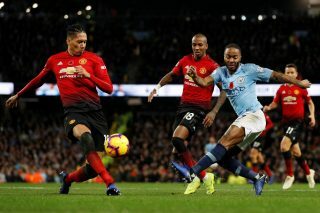 However, as promising as all this is, Jones sadly does not have the passing attribute in his locker that a Manchester United midfielder should. This makes the central midfield option a non option. This brings me on to another question that many have an opinion on but nobody seems to know the correct answer. Mainly because each game has different needs that need to be addressed, but it now seems that United’s formation is ever-changing. 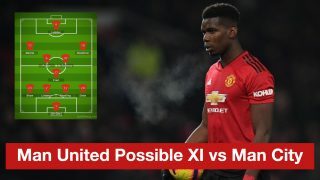 It used to be that Ferguson had his 4-4-2 formation and that won us games but football has evolved, and now we can see the classic formation one week and then a 4-5-1 the next. I’m not one to get bogged down in formation semantics but I, for one, would love to see a 3 man centre-back team involving wing backs, the same sort of 3-5-2 that we see Wigan employ week-in week-out. I believe this formation in the coming years will help Jones evolve as a defender as I believe that he is quite well equipped to be a sweeper. The typical sweeper role appears to have died out but if utilised correctly, it can be a really effective tool. It would give United an edge over most of our big rivals as Jones’ robust lung-busting runs will be a threat to unprepared teams, but he will be covered by his two partners if he was further up the pitch. 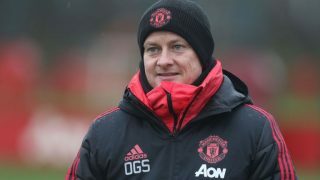 At this moment in time however, United probably aren’t too well equipped to use this system as it is something that has never really been seen at United before. Saying that, the defensive talent our disposal within the next few seasons with Chris Smalling, Jones and Jonny Evans all relatively young, accompanied by the great attacking threat that Rafael da Silva will offer in the wing-back roles, it makes for a very exciting time ahead of us.